One early Saturday morning, I was surprised by an outing with my best friend. We met at Euston station and walked down to Covent Garden and despite Mr Weather threatening to downpour, we were greeted with bouts of sunshine. We made it to Covent Garden just in time for our brunch table which had been booked after much research on my friend’s part. I was promised a different menu in a funky yet casual setting and let’s just say I wasn’t disappointed! As we entered, there was a noticeable buzz accompanied by the smell of yummy food. Whilst the space wasn’t massive, there were a good few tables as well as seating outside and at the bar. We were quickly seated at our table and left with the menu’s. Within 15 minutes, we were asked for our drinks orders and rolled off our food orders at the same time. 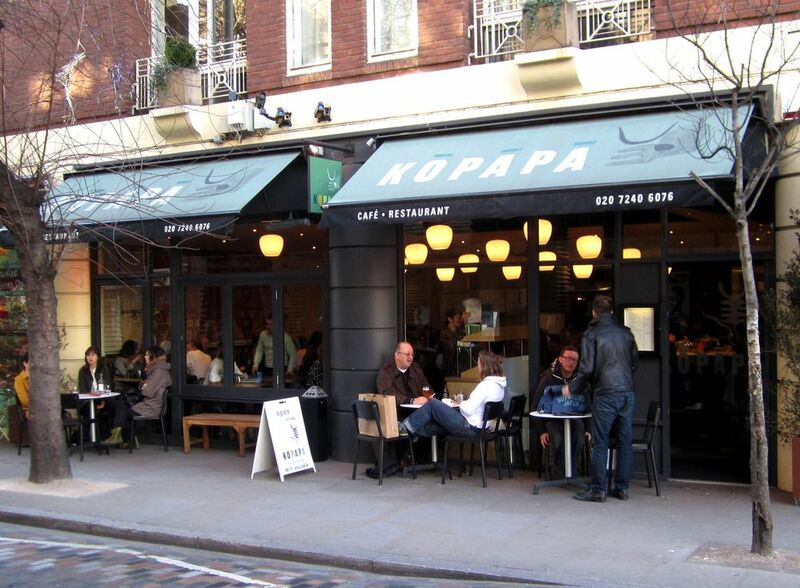 Kopapa operates a policy where booking is advised, but tables are always kept for walk in clients. Whilst waiting for the food to arrive, I experienced a bout of excitement, something which sadly I don’t always experience. I found myself looking around the restaurant at all the funky dishes coming out of the kitchen, trying to figure out what the might be. Our drinks arrived first. I got a Bloody Mary (the best accompaniment to any brunch) and my buddy got the Macchiato. 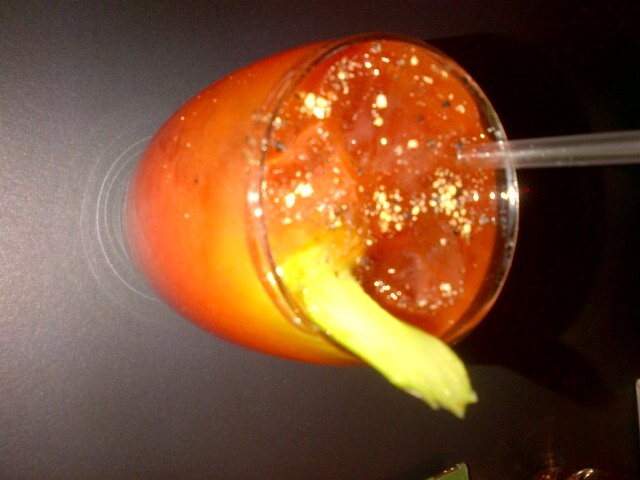 My Bloody Mary was in need of a little extra seasoning, but I guess that’s something that varies from person to person. 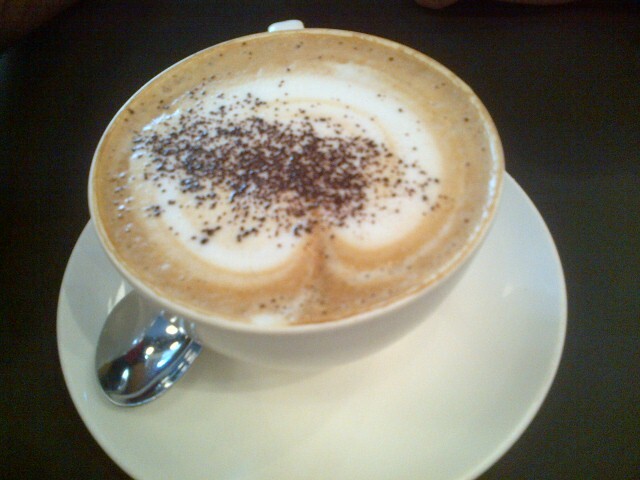 The Macchiato however was a brew from the semi famous Monmouth Coffee House and was so amazingly smooth that even though my usual sugar count is 2, I wouldn’t have needed any sugar. So it definitely got a thumbs up from us! One of the things that drew my friend to this restaurant in particular was the funky menu. It consisted of various interesting dishes including Ricotta Fritters with avocado & roast grape salad & pistachio caramel sauce and Millet & soy milk orange vanilla syrup. Before long our food arrived. 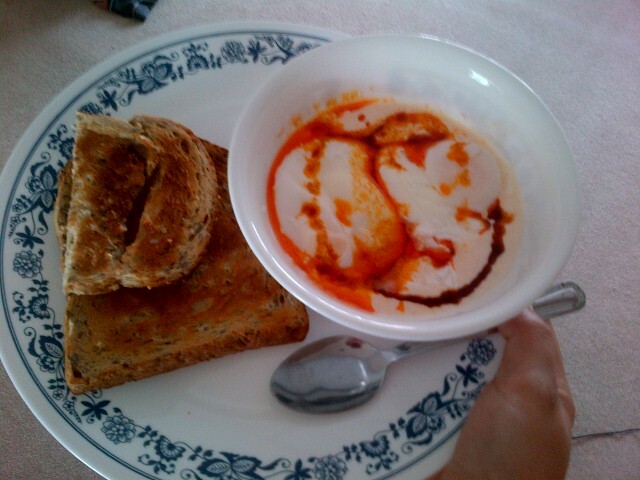 My Turkish eggs arrived in a white bowl (see picture below). 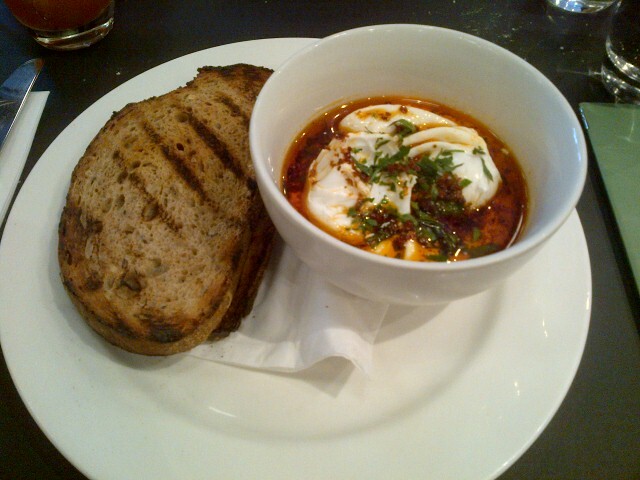 The poached eggs were cooked to absolute perfection; the white was firm whilst the yolk was runny. The whipped yoghurt was lightly flavoured and did a great job of disguising the yoghurty flavour that may not have worked so well with the eggs. Drizzled on top was a chilli butter which added the perfect twist. The combination of textures and flavours was tantalizing to the taste buds. Now I’m by no means shy and the fact that I own a food blog gives me reason enough to try everyone’s food. 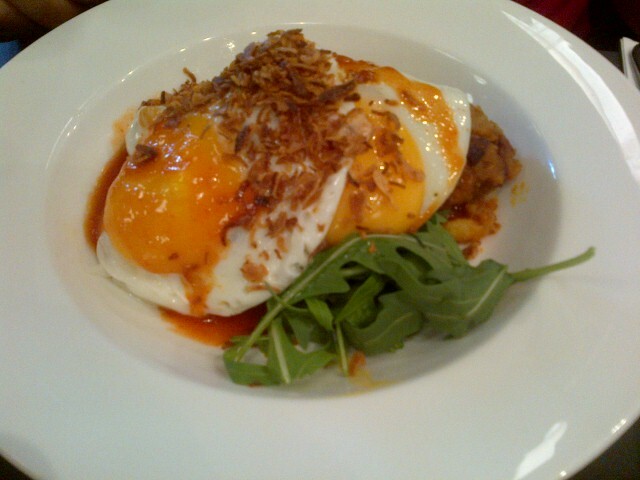 The Chorizo hash arrived and was a heap of choizo strips mixed with potato strips with two fried eggs on top and a drizzle of chilli sauce. The overall taste made this dish the perfect comfort food in comparison to my dish which was the perfect summer breakfast meal. The ‘Chorizo Hash’ was in fact more potato than chorizo whilst the chilli sauce gave the overall dish a good kick, but nothing too firey. The fried egg was again cooked to perfection with a runny yolk in the middle of the crispy white. By the time we’d cleared our plates, not only was there no space for the Spiced Banana French Toast, but there was sadly no room for dessert either! We were done within an hour and a half but with such speedy serving, you could easily be in and out within an hour so this definitely makes for the perfect quick brunch stop. I can imagine had we been in slightly earlier, the wait may well have been slightly longer, so I would most definitely take advantage of the fact that Brunch on a weekend is served from 09.30 till 16.30. But the last laugh is mine because even though I’d never poached an egg before and I used natural yogurt rather than the greek kind, my Turkish Eggs turned out quite good. With a little more practice maybe I could give Kopapa a run for their money!!! ← Oh Buddha We Love you..